I present to you foodies, Pasta Central. 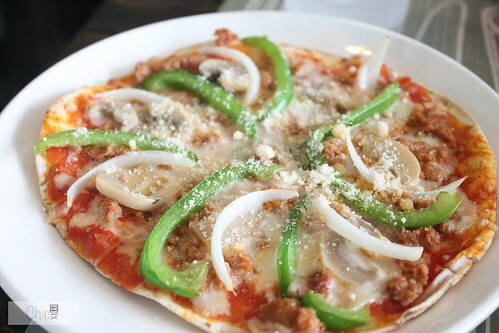 The place is pretty rustic Italian, hence the resemblance of brick stone ovens as their interior, and it also has a homey feel to it. 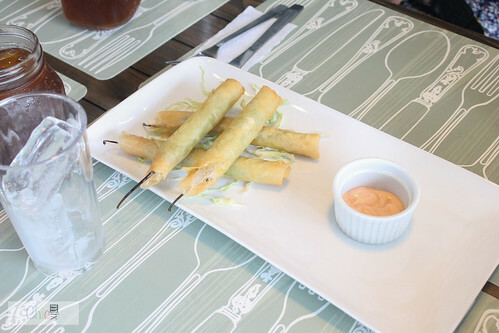 This is their Chicken Pomodro(190.00 Php). It's a tomato based sauce with chicken breast and a slice of cheese. 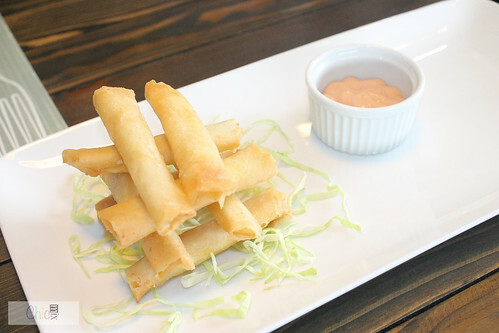 The taste is great as it is not too salty, and it's really focused on that creamy yummy tomato sauce. Pasta is al dente too, which is essentially how it should be. :) Chicken is also very flavorful and crispy yet moist on the inside. 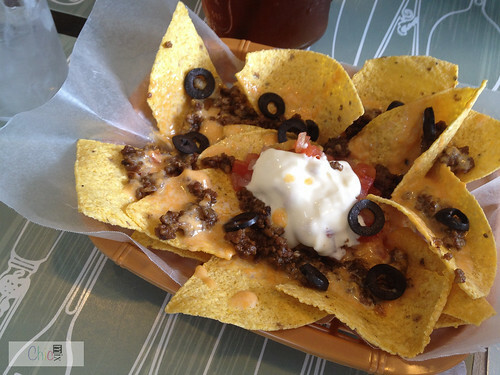 Pestoriffic (160.00 Php) is my personal favorite. It's not too oily unlike some that I have tasted and it's full of that herb-y flavor, and even with just a little parmesan it's still the best Pesto I had. I do wish that they'd have more than 1 breadstick as I don't really want to waste the remaining pesto sauce of the pasta dish. The chicken is also a winner as they made it crispy on the outside, but light, moist and flavorful within. 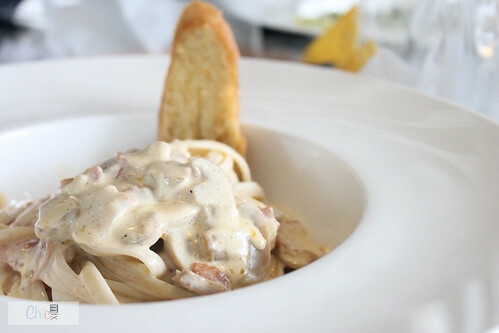 Their Classic Carbonara(180.00 Php) is a crowd favorite, as not only us but also our kids had licked the plate clean off it's creamy and decadent pasta sauce. This is also perfect for those that have allergies to say chicken and nuts as this is comprised only of bacon, mushrooms, and herbs. 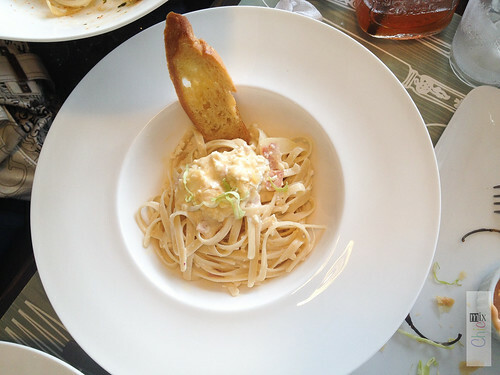 This one is the Salted Egg and Garlic Pasta(160.00 Php) which is great cause the salted egg flavor is subtle and thus making the dish feel delicate on the palette, but personally would have been way better if it had more of that garlic flavor and an additional parmesan wouldn't really hurt. 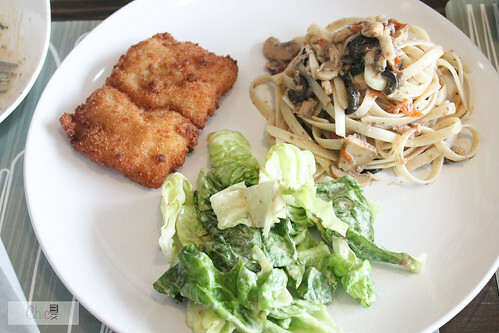 This is how Pasta Central serves their Combo Plate (200.00 Php) of Fish, Pasta and Salad. 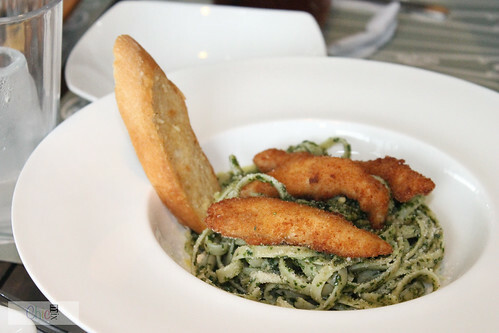 The hero of this dish is their Spicy Sardines Pasta(ala carte for 130.00 Php) with herbs and olives, a really delicately cooked fish fillet, which I commend them for cause it's not dry unlike most restaurants and it's also well seasoned. Salad is comprised of Romaine Lettuce and a bit of tomato and some ceasar salad dressing. For its great quality and quantity I'd say this is pretty affordable. So for the price range of 130-190 Php per solo meal of pasta, my cravings are sure to be satisfied and this is another restaurant that will be close to my heart and wallet as it serves flavorful and affordable pasta for the people. A place just for eating pasta? Past being my favorite food, I'd be eating there every day, and tried everything on the menu. What a find! Wow! The combo plate looks sulit hah. 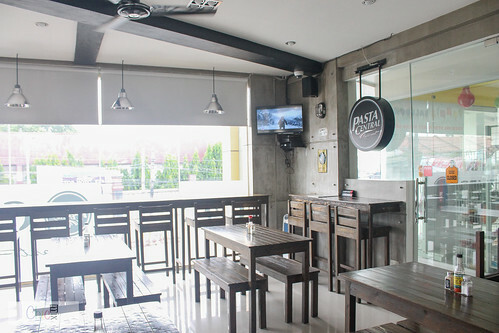 I agree that the price range for their pasta is quite affordable compared to other restos. And they look yummy, too! 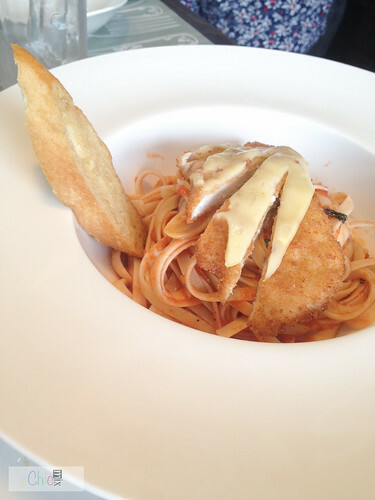 I wonder if they have other tomato-based pasta aside from the Chicken Pomodoro like Seafood Marinara? 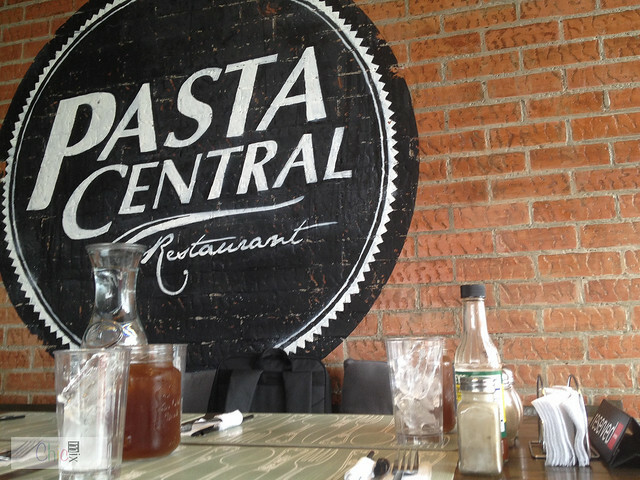 :) Also, where is Pasta Central located? Looks very appetizing. It's far from home but will surely visit once we pass by or went to a place nearby, Might as well ask our Lola since they're from LP too!